Herods Boutique Tel Aviv guests can enjoy a pampering vacation and all of the attractions and recreations offered by Tel Aviv - the city that never sleeps. Hotel guests enjoy a lively atmosphere, well-designed and pampering rooms, quality restaurants and a stunning beach, all of which transform your your vacation into an amazing, energetic experience. Herods Boutique Tel Aviv invites you to experience an exclusive vacation with the utmost experiences that the city of Tel Aviv has to offer. 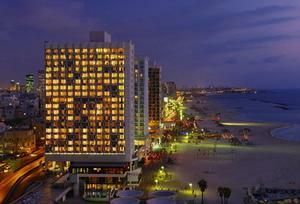 *Herods Boutique Tel Aviv features a large outdoor sea-water pool,sophisticated gym and sauna. *The Business Lounge offers an array of business services, including: fax and photocopying, wireless internet (for an additional fee), spacious conference rooms (reserved in advance, for an additional fee), complimentary internet station, light refreshments, soft drinks and hot beverages throughout the day. THE Herods Boutique Tel Aviv WILL BE CLOSED FOR AN OVERALL REFURBISHMENT PERIOD FROM DECEMBER 15 2010, AND REOPENED AS HERODS TEL AVIV. THE HERODS TEL AVIV IS DESIGNED BY MR. YOAV IGRA, STYLED AS TEL AVIV USED TO BE AND UPGRADED TO BE ONE OF THE LEADING HOTELS IN TEL AVIV. WE EXPECT TO OPEN THE HERODS TEL AVIV BY THE END OF MARCH 2011. All of the rooms in the hotel are well-designed, air-conditioned and particularly spacious, featuring Sweet Sleepers beds, 32 inch LCD televisions, telephone, radio, mini bar, hair dryer, coffee and tea set and a balcony overlooking the beach. The hotel offers room service 24 hours a day, including wake up calls. 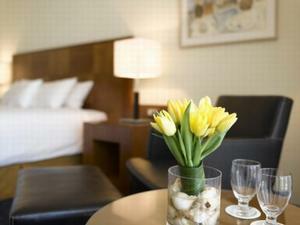 Deluxe Rooms – New, renovated rooms located on the first six floors of the hotel. Royal Rooms – Very upscale rooms located on floors 16-18. The Royal Rooms are particularly comfortable for businesspeople and include work areas with fax and modem connections. Executive Rooms – Upscale and upgraded rooms, located on floors 7-12. “Smart rooms” for businesspeople with office services. Guests staying in Executive Rooms enjoy complimentary entry to the Business Lounge. Junior Suite – Well-designed suites that include a separate bedroom and living room. The suites serve as “smart rooms” with all of the accompanying services, and feature a lounge area with a couch. Suite guests are given robes and slippers for the duration of their stay at the hotel, and enjoy free access to the Business Lounge. 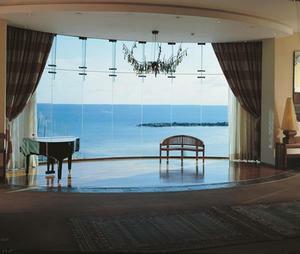 Herods Boutique Tel Aviv Hotel (formerly the Sheraton Moriah) is located in the heart of Tel Aviv, featuring a stunning view of the Mediterranean Sea.